The Colorado Rockies promote responsible drinking and positive fan behavior at Coors Field. The Rockies Fan Code of Conduct and the details of the Rockies alcohol management plan that appear below ensure that fans have a safe and fun experience. * Obscene or indecent clothing will not detract from the Guest experience. * Guests will enjoy the baseball experience free from foul or abusive language or obscene gestures. * Guests will refrain from displays of affection not appropriate in a public, family setting. * Impaired or intoxicated Guests will be assisted in a prompt, respectful and safe manner. * Guests will show their ticket when requested and sit only in their ticketed seat. * The progress of the game will not be disrupted by Guests’ actions or unauthorized persons on the playing field. * Smoking is permitted only in designated areas. 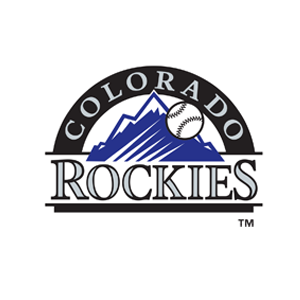 The Colorado Rockies and Aramark want you to enjoy the ballgame and have a safe trip home. We encourage you to use our Designated Driver Program. Prior to the fourth inning of the ballgame, Guests who are able to produce a valid driver’s license and are at least 21 years of age are eligible to become “Designated Drivers” for the evening. In return for signing a pledge not to drink alcoholic beverages during the game and for accepting responsibility for driving other members of their group home, Designated Drivers will receive a free non-alcoholic beverage during the game. Aramark’s Designated Driver booth is located at sections 127 and 144.